Roberta Belson is an internationally known musician who has concertized as solo harpist and piano accompanist throughout the US and Europe. Roberta’s credits include numerous commercials and soundtracks for TV, radio, film and records, as well as solo recordings entitled: “Spirit Song, Ethereal Harp Music for Healing,” and “Angelic Transmissions”. She is a Registered Polarity Practitioner and maintains a private healing practice, combining Polarity and Reiki energy work with channeled harp music to assist people in connecting with their inner healing light. 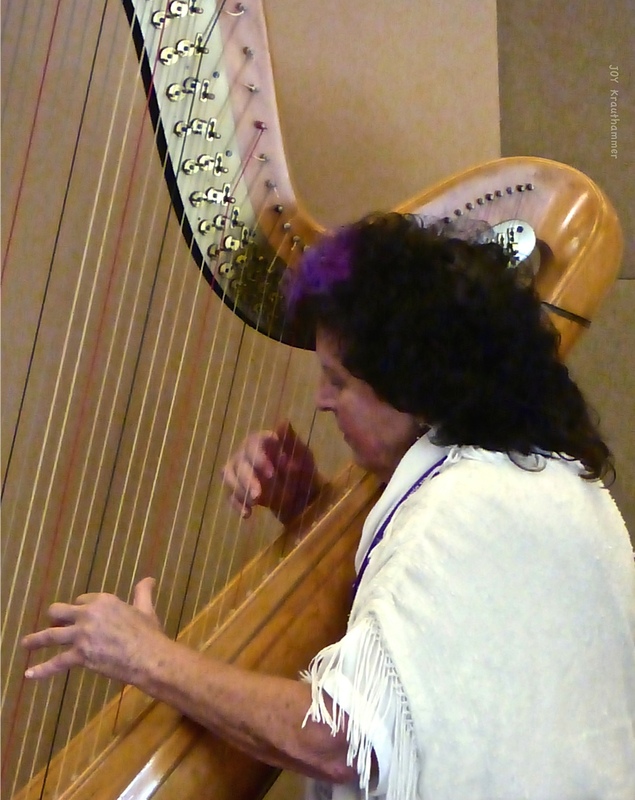 Roberta enjoys enhancing weddings and celebrations of all kinds with the ethereal sounds of her harp. “High Holy Days with Bnai Horin are always thought provoking and therefore ideal for introspective moments which is what these holidays are all about. A versatile musician with an innate gift for telling a story, Bruce Burger, AKA RebbeSoul, brings a new voice to the sometimes-stagnant realm of Jewish music. He blends rock sensibilities, world-fusion stylings and traditional Hebrew melodies to create a sound that is ageless yet completely progressive. It took many years before he ever discovered his musical identity, however. His evolution as an artist, just like his journey to the heart of Judaism, has been an unorthodox one. Burger’s first influences were the old-school rockers – Jimi, Zeppelin, etc — that he heard on the radio while growing up in Utica, New York. From the time he first began to play guitar at 13, he had an innate ability to hear, understand and reproduce any style of music. This ability opened many doors for him when he made the move to Los Angeles. Producers appreciated his ear and his versatility. Though he kept busy with sessions and rock/jazz collaborations, he never really took the time to discover his own musical voice ? until he heard the traditional Hebrew prayer “Avinu Malkenu” at a temple one day and, inspired by its haunting beauty, produced an acoustic instrumental version in his living room. People loved it. Burger felt a connection to it that went far deeper than anything he’d experienced previously. He collected an eclectic group of players – a Tanzanian drummer, a funk bassist, etc. – to round out his energetic live shows. Thus was born RebbeSoul, Burger’s renowned stage persona. Several months later, the acoustic rendition of “Avinu Malkenu” garnered the highest-ever amount of listener call-ins when played on maverick San Francisco radio station KKSF. Propelled by the success of “Avinu Malkenu”, RebbeSoul’s first full-length, self-titled release became an instant hit with Jewish and non-Jewish listeners alike. It landed him a record deal for the second album, Fringe of Blue. This album went on to sell more copies than almost any other Jewish music album in the country. Burger followed it with Rebbe Soul-O, the soundtrack to the award-winning one-man show written by Richard Krevolin about Burger’s life and musical journey. RebbeSoul’s highly anticipated new album, Change The World With A Sound, shows RebbeSoul moving to the next level musically – mixing Mizrahi chant and electronic beats with the signature funk/folk/ethnic rock style that his audience has come to know and love. The latest version of “Avinu” (ever since the auspicious beginning, there has been one on every album) is the first to be recorded with vocals. “Kaddish” features samples recorded during an evening pilgrimage to Amuka in Northern Israel. Various artists lend their talents to the album: Prophet X, the Los Angeles-based rapper; Neshama Carlebach, daughter of the beloved late songwriter Shlomo Carlebach; and vocalists Lynn Rose and Lena Katz are among them. Another inimitable touch is Rabbi Zalman Schacter’s narrative of I.L. Peretz’s famous tale “Reincarnation of a Melody.” RebbeSoul traveled to Boulder, Colorado to record Rabbi Schacter reciting the famous Yiddish story. RebbeSoul is known to say that “music is the common language” in an increasingly troubled world. Upon listening to Change The World, one can hear that RebbeSoul is becoming more fluent in that universal language with each passing day. RebbeSoul lives in Israel and tours all over the world. Stephen is a multitalented individual whose dedication to peace, humanitarian, environmental and spiritual concerns has always found expression through his artistic pursuits. Since his first album release, Seeds of Peace, in 1980, through his current CD, Angels and Miracles, Stephen has established himself as an inspired performer and veteran poet/spokesman of the times. An award-winning singer/songwriter, Stephen has also authored the poetic & philosophical handbook, The Art of Peace, A Personal Manual on Peacemaking and Creativity (New Paradigm Books), now in its second printing. The Art of Peace also features 40 of Stephen’s drawings. Stephen is now completing his second book, The Basketball Teachings, which chronicles his long involvement with the game of basketball, and how his basketball experiences have illuminated key rites of passage in his colorful life. A relative of the poet, Henry Wadsworth Longfellow, Stephen is a poet in his own right, giving expression and insights through his music, writings and presence wherever he goes. After two turbulent years in the rock scene, he embarked upon his solo career and became a traveling troubador-minstrel man. Since then he has performed widely, entertaining and uplifting audiences with his insightful, poetic and often humorous songs and stories, and has recorded eight albums. His music has been featured in various films and videos, and he has written for, sung and done voice-overs on TV and radio commercials. He has raised a family of three children with his wife Nikki, and has also been a yoga teacher, a basketball coach, an avid backpacker/mountaineer, and a lecturer and workshop leader. Stephen has written, produced and performed his one man musical theater piece, “Minstrel Man” at the Electric Lodge Theater in Venice, California to enthusiastic audiences. 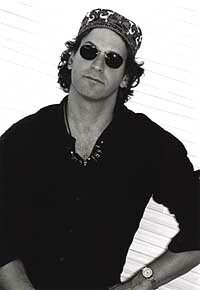 He has won numerous awards including “The International Peace Music Award” in 1994, and has had his songs recorded by Luther VanDross and Jose Feliciano, among others. “Davening with B’nai Horin made me realize that it is possible for anyone who has been alienated from jewish life to come home. Re-entering, reclaiming our heritage through singing, dancing with the torah, feeling the embrace of a community – these are some of the elements which make it possible to grow within this community. The greatest asset is that B’nai Horin is led by a rabbi. He is not just any rabbi. He is a man with a pure soul, who, in the face of even the most evil and ugly challenges, is able to find beauty, innocence and meaning. He encourages all those with whom he davens to do the same. He is a teacher of life and hope, a teacher of freedom . . . freedom of the spirit and mind and soul. For those who know Debbie’s music, it has become a treasured part of their lives – a CD listened to every morning on the way to work in order to focus and prepare for the day, or a song like “Mi Shebeirach”, bringing respite and hope into countless lonely hospital rooms. For children and adults alike, Debbie’s music is living Judaism – from her they learned the Hebrew alphabet, through her they came to love prayers that might otherwise have remained strings of foreign words, unrelated to their lives. With Debbie’s honest, pure voice as their guide, a whole generation of Jews has come to embrace the words of the prophets and see in the message of the Rabbis and Cantors of old, the spiritual meaning and relevance they seek. Debbie’s music gives voice to the soul that modern life too often ignores – the soul of individuals and the soul of our People. Debbie and Rabbi Stan co-lead a workshop at Elat Chayim on healing for many years. We were blessed to have her as our special Cantorial Soloist at our High Holy Days over the years. Her heart and her spirit live on in our many wonderful memories of our times together. And we sing her melodies and songs in all of our services. 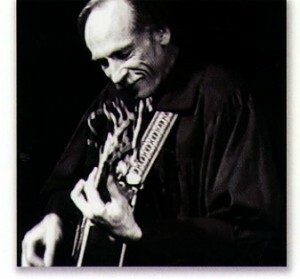 Richard Hardy performed and recorded with Carole Kingfor 14 years. An exceptionally versatile classically trained musician from the Denver Symphony Orchestra, Richard has played with the Dave Matthews Band, Lyle Lovett, John Prine, Elvin Bishop,and Stevie Ray Vaughan. He has also recorded on countless albums, including projects with George Harrison, Sting, Crosby Stills & Nash, The Moody Blues, 3rd Force, and Lindsay Buckingham. 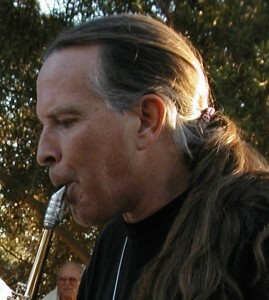 As a session musician in Los Angeles, Richard is fluent on all saxophones, clarinets, silver and bamboo flutes, native American flutes, pennywhistles, and exotic Middle Eastern instruments. Richard is currently a member of Larisa Stow & Shakti Tribe, and also performs regularly with The Gila Monsters (“party-gras” music), Peter Kater, trad jazz band The Ultra-Kinetic Orchestra and world-fusion dance band Shapeshifters. Joy Krauthammer, MBA, is a passionate percussionist for over three decades since 1986, although drums were her passion since a teenager. Serving also as a sound healer, she plays gongs, chimes, ting-shas, ethnic rattles, rain sticks, ocean drums, ethnic bells, and crystal and Tibetan singing bowls (which she carried home from Tibet). Joy shares sound meditations; the symphony of harmonic, vibrational healing sounds with lingering resonance, whose waves reverberate through one’s body. They open energy channels for flowing and relaxation, allowing for more joy, love, peace, harmony and oneness in our universe. In her parents’ and grandparents’, z’l, steps / l’dor v’ dor, Joy was classically trained in piano, violin and clarinet and inherited their instruments, as well as her talents as a multi-media visual artist. 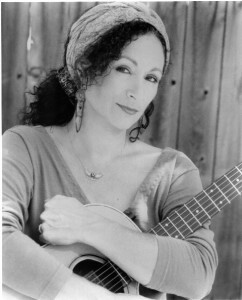 As the only female, Jewish full-time performing spiritual percussionist in many Los Angeles synagogues, Joy regularly plays African djembe, Middle-Eastern dumbek, timbrels, frame drums, shakers and small percussion. Joy considers herself mamash / truly blessed to have accompanied legendary musicians, Rabbi Shlomo Carlebach, z’l, Rabbi David Zeller, z’l, and Babatunde Olatunji, obm, and ruach-filled cantorial soloists at international Jewish Renewal gatherings. 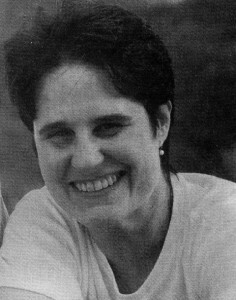 Joy was blessed to accompany Debbie Friedman, z’l, originally at the American Jewish Congress’ Los Angeles Jewish Feminist Center Pesach Seders in the early 1990’s and then at B’nai Horin. She studied sound with the Dalai Lama’s monks, renowned sound healers, and with dozens of the world’s most exciting drummers, including Layne Redmond, obm, Christine Stevens and Ayo Adeyemi. Joy plays at spiritual events, holidays, new moon/Rosh Chodesh ceremonies, full moon interfaith gatherings, women’s retreats, and pre-Pesach seders, temples, simchas, Malavah Malkas, Havdalahs, rituals – Mikveh / water purifications, Simchat Chochmahs, and life-cycle ceremonies. Joy plays at yoga studios, art galleries, publication, and peace parties, festivals, conferences, Kabbalistic and writing workshops, drum circles, and for personal individual and group healing meditations. 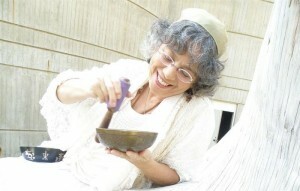 Playing Tibetan singing bowls, Joy has served as Chevra Kadisha shomer. Joy Krauthammer writes Joyous Chai Lights, and is a poet, photographer (and Nature Photo Walk guide), artist, spiritual guide, student of Torah, Kabbalah teacher, educator and gardener living in Porter Ranch, California. 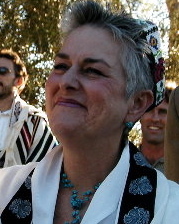 Lynda’s voice can be heard on the B’nai Horin AWE CD. In addition to Lynda’s cantorial work, she has a psychotherapy practice in Brentwood specializing in the spectrum of relationships. She is a UCLA trained and certified couples therapist, has extensive training with individuals, primary grade children, and adolescents. She also does pre-marital counseling and parenting classes. Born in a small Ethiopian village, Alula Tsadik grew up in an orphanage until the age of twelve. It was in school choirs as a child where he first developed his love for music. 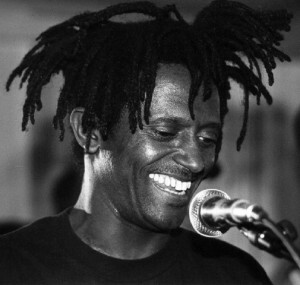 Between the ages of thirteen and fourteen he appeared weekly on Ethiopian television as a music instructor for children’s entertainment shows. Alula left Ethiopia to study medicine in Munich Germany at Maximillianeum University Munchen. He interrupted his studies after three and a half years for a record deal and European tour. He speaks eight languages and sings in over ten. Alula also plays twelve musical instruments, including the piano, guitar, bass, drums, harmonica and kirrar, a harp-like instrument that dates back to the time of King David. Alula is a muti-talented musician, composer, arranger, lyricist, singer, performer, dancer and stage actor who has the talent to enhance any performance. He has toured over half the world playing concerts and appeared on African, European and US television. Ethiopian televsion says Alula is one of its greatest assets. I am forever grateful to Stan Levy and the community of B’nai Horin. Our connections grow stronger, sweeter and truer with each passing year we spend on the hill together surounded by earth, sun, air and holy friendship. We come home to each other. This community has given me love and special support for keeping alive the Sephardic songs of our people. I also love to participate as a cantorial soloist in Bar & Bat Mitzvahs with Stan. They are absolute joyous occasions for me. A singer, songwriter and guitarist, Stefani’s repertoire is rich and romantic, including songs from many nations. A third generation musician, she learned her first songs from Pete Seeger and the Greenwich Village blues locals. Her influences rage from Muddy Waters to Grace Slick, Dorival Cayimmi to Jobim, from Celtic to country, international folk to classic jazz. She lived a year in Spain performing, writing and collecting songs from the ancient Spanish and North African traditions. A strong vocalist and performer, Stefani plays studio sessions, produces, arranges and plays percussion and dulcimer. Her latest CD, “Ladino Alive” is a gift of songs that speak of a flowering of civilization when the cultures of the 3 great religions coexisted peacefully for 700 years. Her arrangements bring these ancient melodies, prayers and love songs into the future with sensual and haunting vocal, soulful ethnic drums and delicious harmonies.